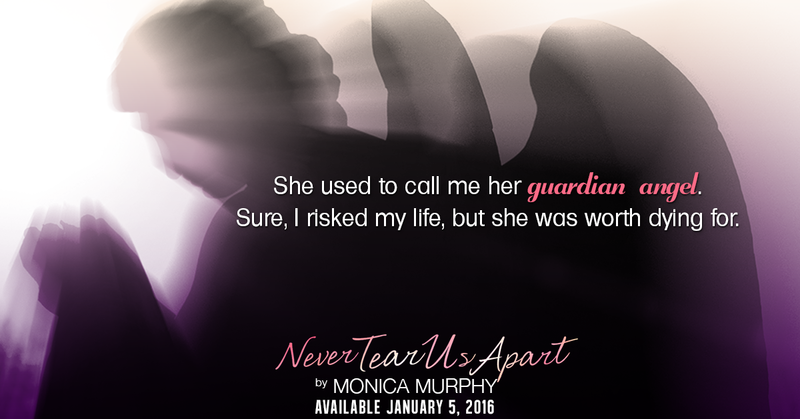 We’re celebrating the release of NEVER TEAR US APART by Monica Murphy! Crazy how eight years can disappear in an instant. 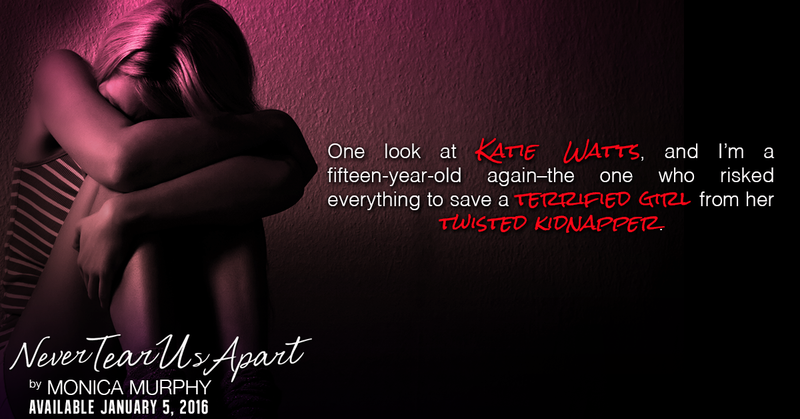 One look at Katie Watts, and I’m a fifteen-year-old again–the one who risked everything to save a terrified girl from her twisted kidnapper. She’s grown-up now–beautiful, quiet, composed–and telling her story to the world. 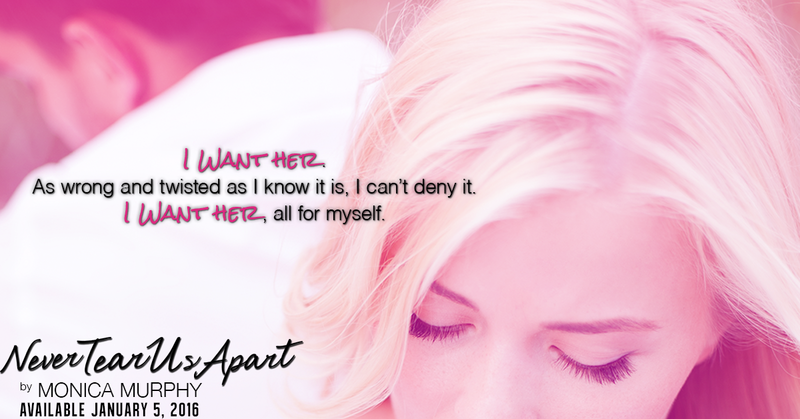 A story that involves me in more ways than you can imagine. She used to call me her guardian angel. Sure, I risked my life, but she was worth dying for. 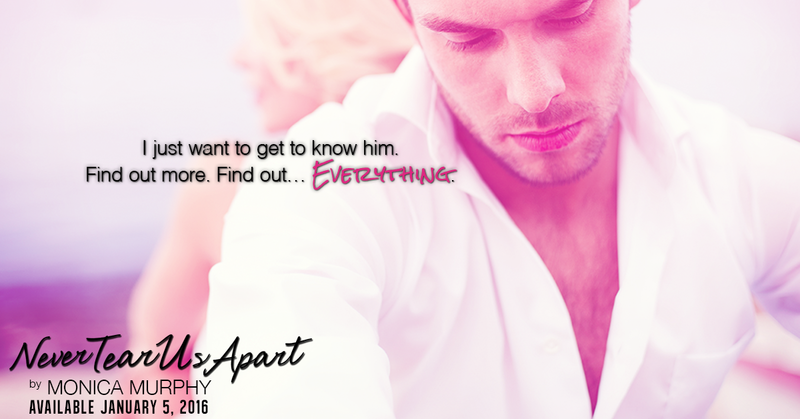 Be sure to stop by Monica’s Facebook Page daily for giveaways! 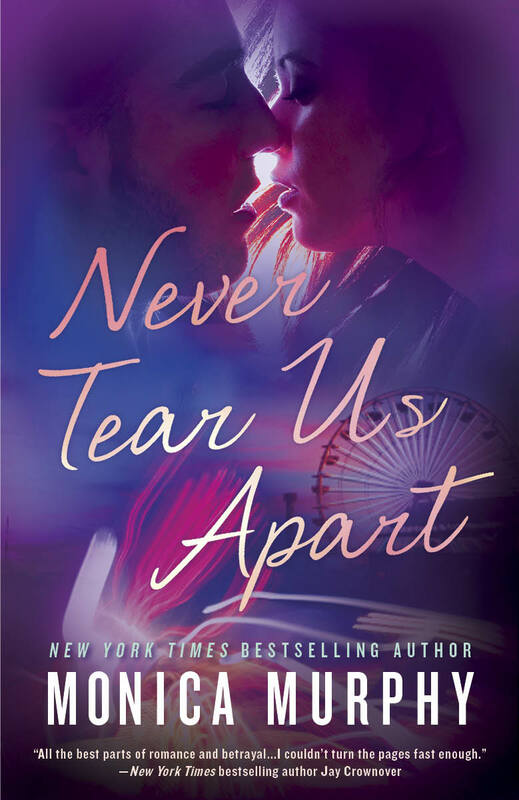 This entry was posted in Book Boyfriend, Book Crushes, Book News, Book Promotion, Book Recommendation, Book Release, Book Spotlight, Book Talk, Book Tour, Bookish Stuff, bookish temptations, Books, Fantasy boyfriends, favorite author, Favorite Authors, Monica Murphy, Release Day Blitz, Romance and tagged Book Boyfriend, Book Recommendation, favorite author, Monica Murphy, Never Tear Us Apart, New Release, recommended reads, Release day.